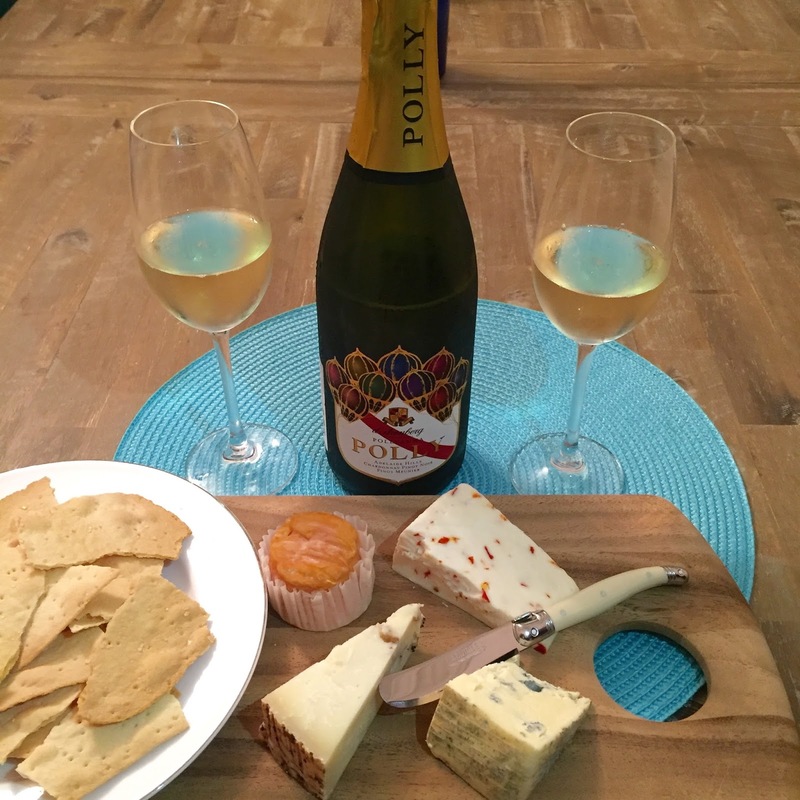 The Polyanna Polly Sparkling is a blend of 52% Chardonnay, 40% Pinot Noir and 8% Pinot Muenier. It has characters of green apple and citrus with a creamy mouthfeel. A nice bubbles which was enjoyed with a delicious cheese platter. This wine won gold at the Royal Queensland Wine Show 2015. Good value for money at $28 a bottle. Once Upon A Wine loves the label too. This wine was named after the winemaker – Chester’s mother, Pauline who was known as this for being eternally optimistic! The Lucky Lizard Chardonnay 2014 is a delicious drop with pear, pineapple, lemon and citrus flavours. This wine can be enjoyed now or be aged for further development. Behind the name: during Summer, native ‘Bearded Dragon’ lizards that are present at the vineyard. The Feral Fox Pinot Noir is an example of a cool climate Pinot Noir from the Adelaide Hills region. This wine has lovely red berry fruit flavours such as cherries and plum. Behind the name: This wine is named after feral foxes which inhabit the Adelaide Hills region and their appetite for grapes, sometimes eating low hanging branches. But this enhances the quality for the higher ones which they cannot reach. 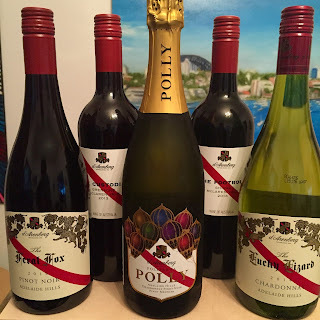 The Adelaide Hills region is known for their Shiraz wines. The Footbolt Shiraz has dark cherry, plum and blackberry fruit flavours with hints of pepper, spice and earthy notes. Can be enjoyed now or aged and is a value for money Shiraz at only $18 a bottle. This wine pays tribute to an original owner of d’Arenberg, Joseph Osborne who was a successful racehorse owner and Footbalt was the pride of his stable. In 1912, he made a hard decision to sell his horses to purchase the d’Arenberg property! The Custodian Grenache 2013 is a medium bodied Grenache with plum, blackberry and blueberry fruit flavours. An affordable Grenache at only $18 a bottle. Behind the name, in the 1980s, d’Arry Osborne refused to remove his old Grenache vineyards. 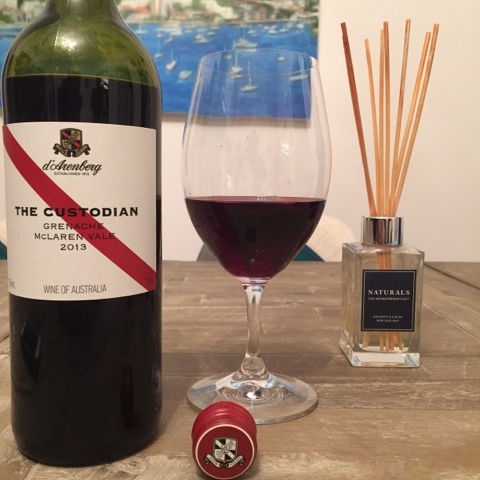 But it was a smart move as today, d’Arenberg is the holder of nearly 1/3 of the McLaren Vale’s old vine Grenache grapes, thereby earning its title of the ‘Custodian’. The High Trellis Cabernet Sauvignon. This wine has plum blackcurrant flavours with earthy notes. Was enjoyed with delicious Nutella aranchini balls! This Cabernet is versatile in that it can be enjoyed now or cellared for the medium term. Only $18 a bottle! Behind the name: Cabernet Sauvignon grapes were planted in the 19th century and received its nickname as it was the first in the Adelaide Hills region to be trained above knee height. Wines were enjoyed compliments of d’Arenberg. However, the opinions on the wine are my own. Next Article Once Upon A Wine tries 2 cavas from Freixenet!